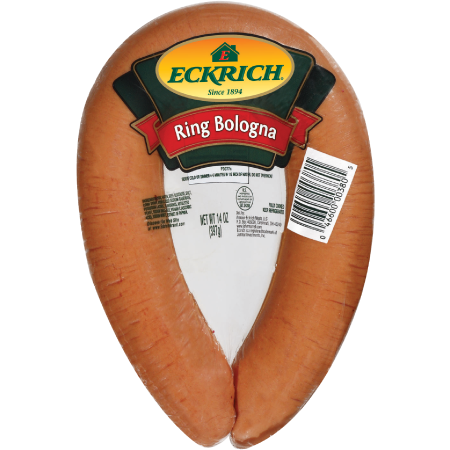 Eckrich pickled ring bologna is crafted with our original bologna meat, which includes a special blend of chicken, turkey and pork. 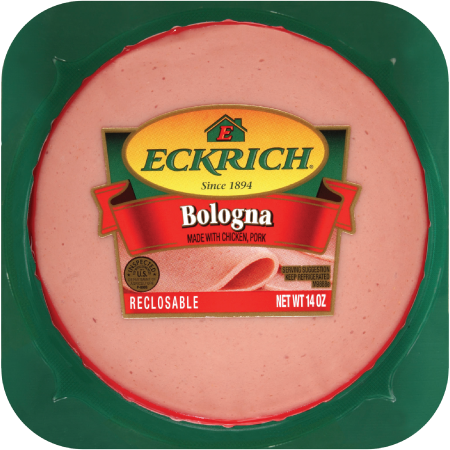 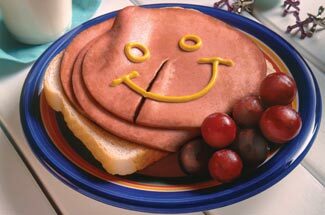 Then, we pickle it through a traditional process for great tasting pickled bologna. 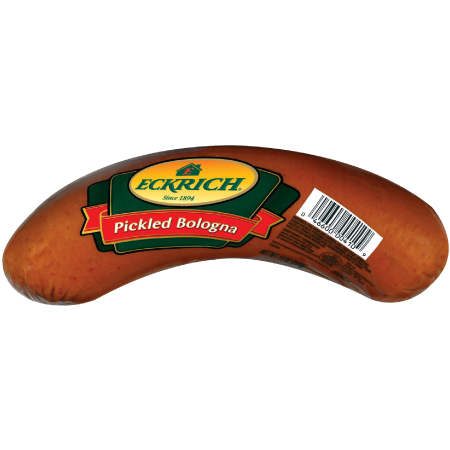 We never include by-products, gluten, soy or artificial colors or flavors–just lunch meat ingredients you can trust and full flavor you can enjoy for a delicious snack. 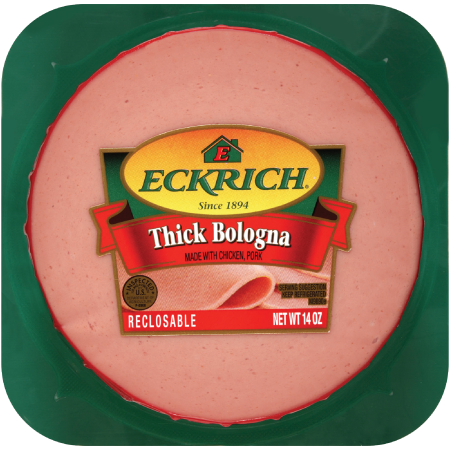 Ingredients: PORK WATER, BEEF, DEXTROSE, SALT, CORN SYRUP, HYROLYZED SODIUM CASEINATE, POTASSIUM LACTATE, FLAVORINGS, AUTOLYZED YEAST, SODIUM DIACETATE, VITAMIN C (ASCORBIC ACID), SODIUM NITRITE, EXTRACT OF PAPRIKA.